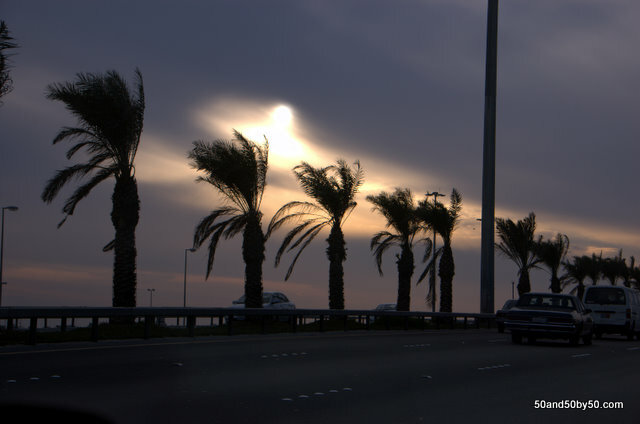 We took a drive down the King Fahd Causeway in Bahrain, headed towards the Saudi Arabia border. 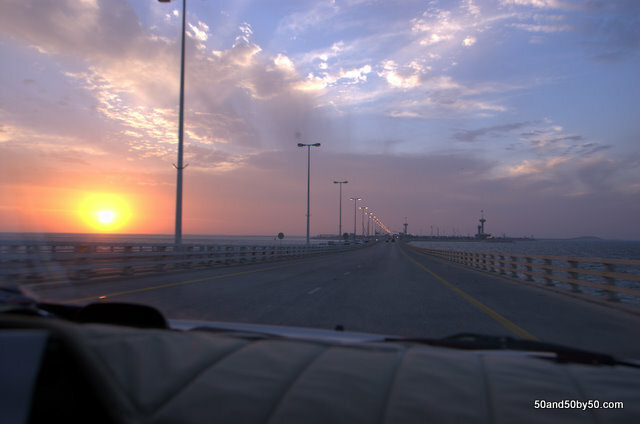 Come to Bahrain from Saudi Arabia via the King Fahd Causeway. Is it for the beauty of this small island, or the lax liquor laws? 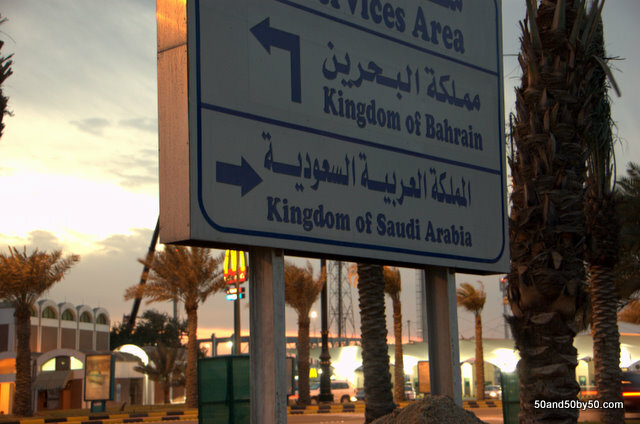 The Kingdom of Bahrain (Arabic: مملكة البحرين‎, Mamlakat al-Baḥrayn, literally: “Kingdom of the Two Seas”), is a small island country of approximately 800,000 people. 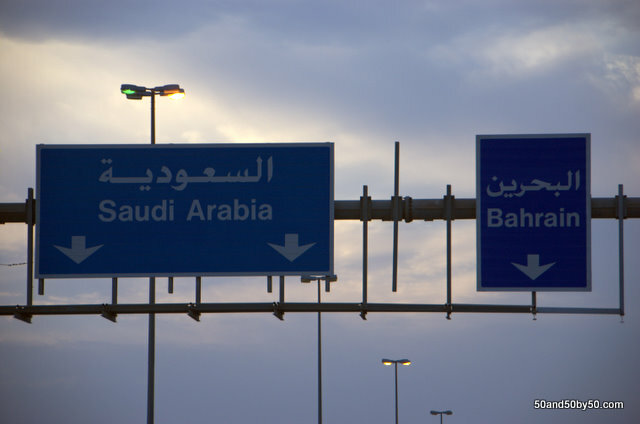 Location: it’s just east of Saudi Arabia, connected via the King Fahd Causeway, and north of Qatar(World Cup 2022) across the Gulf of Bahrain. 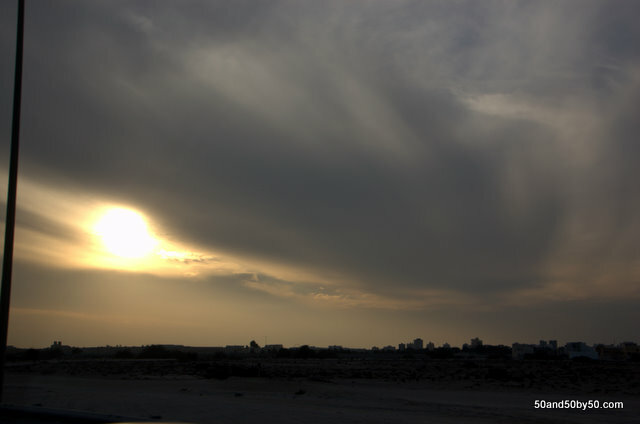 It’s southwest of Iran, and northwest of the UAE (directly west of Dubai). What’s the Currency in Bahrain? Bahrain’s currency is called the dinar (دينار Dīnār Baḥrainī‎), abbreviated BHD (or BD for short). The unit of money for the currency in Bahrain is called the dinar and is divided into 1000 fils (فلس). Photo of Bahraini currency below. The Bahrain Dinar is the 2nd highest valued currency unit in the world. Trivia: what’s the highest? Answer at the bottom of this page. Current exchange rate for Bahrain currency in US Dollars is found here. So during my trip, 1 BHD was worth 2.65 USD (one USD was worth $0.38 during my 2011 trip). This should be rather consistent as the Bahraini Dinar is pegged to the US dollar. What’s pictured on the Bahraini Dinars? 1 Dinar. 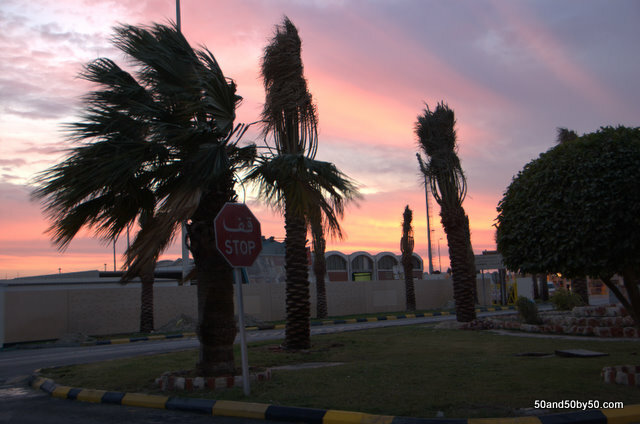 The back displays galloping horses and the Sail and Pearl monument, and the other side, the front displays Al Hedya Al Khalifiya School (Bahrain first school).